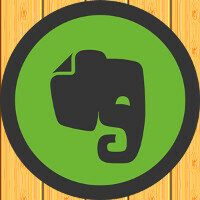 Evernote has updated the Android version of its note-taking app. With Android's Material Design as a guide, Evernote designer Adam Glynn-Finnegan said that he used "tactile elements like shadows and depth to act as cues for usability." Screen transitions are smoother and each screen is "an interaction of many independent levels." Evernote said that the reason why its iOS and Android apps are so different from each other is because it wants to show off the things that make each platform unique. Besides the "flatter look, bolder colors, and improved typography," the update to the Android version of Evernote includes an improvement to the Customizable quick notes. With the update, a long press adds or removes the quick note options. And a simpler navigation drawer can take you right to shortcuts. The note editor and note view benefit from a cleaner layout and controls. The update also adds support for renaming and deleting tabs. And of course, there are the proverbial performance enhancements and bug fixes. If you're an Android user with Evernote already installed, you should find the update in the Google Play Store under My apps. If you don't already have the app, it is a free download from the Google Play Store. However, there are a number of in-app purchases that can be made priced in a wide range of $1 to $49 for each item.